We were pleased to have Mr.Ramsey Ford, Design Director to explore the activities of Vocational training for women (Tailoring) at Maraimalainagar, Chennai in August 2012. On 19th August 2012, we had our 17th Annual General Body Meet. 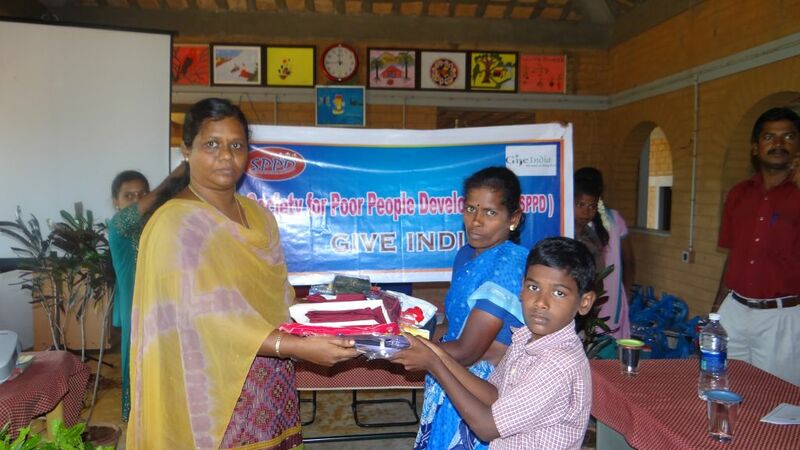 We were glad to organize the Educational Kit Distribution to our children which was received through Global Giving and Give India. 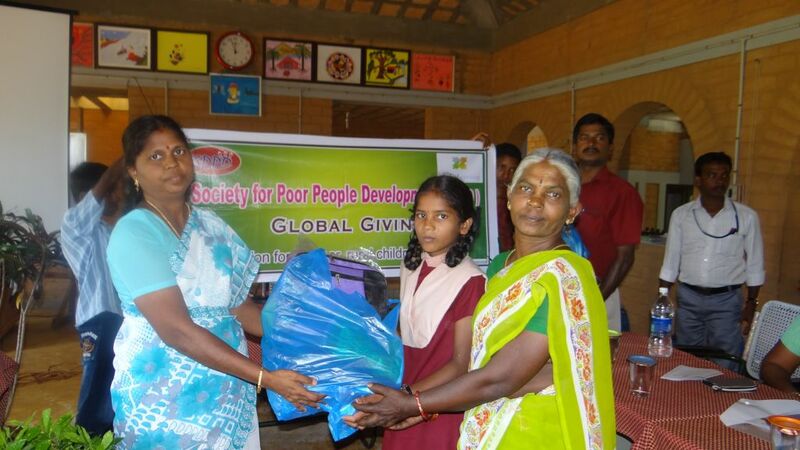 Around 70 children under the project were present for the function along with their parents. We had Mrs.R.Gayathri, the President of the Board; Mr.J.Raju, Secretary; Mr.J.P.Aloyscious, Treasurer and other members of the board to distribute the educational kit consisting of uniform, inner wear, slipper, pens, pencil, eraser, sharpener, geometry box, toiletries, notebooks, etc. to our children. We are glad to say that Donation Options ‘Providing Nutritional Supplement to an affected/infected child’ have received funds from Give India. The main objective is of help the CHILDREN of our Red Ribbon Club members (HIV/AIDS infected) who are physically unfit to do any hard work. They draw very little income which is insufficient to meet the entire expenses of their family. Hence healthy and nutritional food is denied to the children. 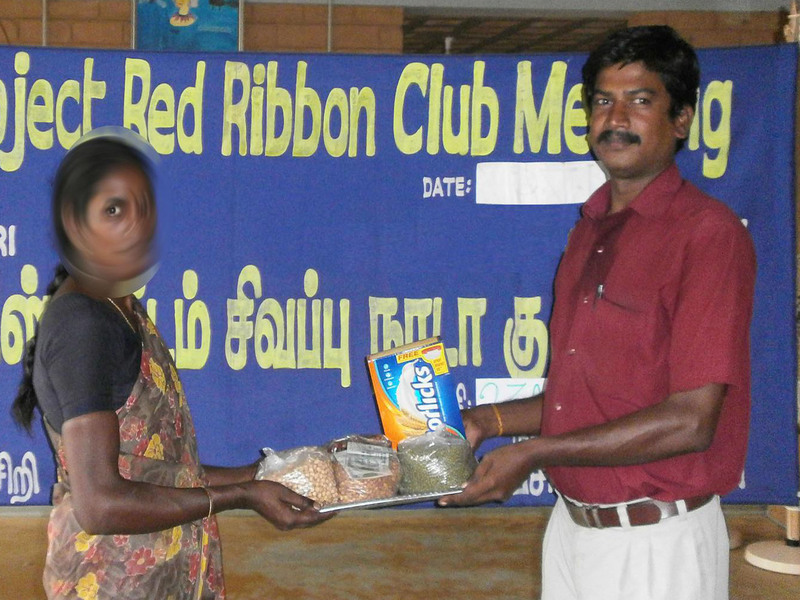 In July 2012, during the Red Ribbon Club Meeting the nutritional support was distributed to the parents of these 14 beneficiaries. Nutritional items like milk, eggs, dates, cereals and dhal; health drink were distributed to them. Note : The image of the recipient is kept confidential.